What is the fastest and easiest way to rent a car in Turkey? 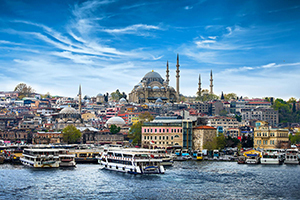 Turkey is a beautiful country with such a rich history and culture, combined with great resorts, which makes it especially desired destination all year long. You can enjoy all the landmarks that the country can offer with rent a car services. Choosing rent a car services in Turkey can help you to get to all the places you would like to visit in a fast, easy and pleasant way. You can choose your vehicle from Top Rent A Car and you can pick it up from an airport, or every desired destination in the country. If you would like to get more detailed information about our delivery and transfer services, you can visit our website. 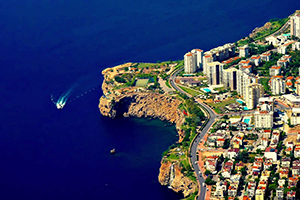 If you are planning to visit Turkey you can easily rent a car from Top Rent A Car for your business trip or vacation. Pick the desired car in Turkey from Top Rent A Car’s big variety of brand new cars in three easy steps on our website, or you can contact us directly on our phone number: +359 700 89 050 or our e-mail office@toprentacar.bg. Top Rent A Car makes deliveries to every location in the country. Rent the best cars from Top Rent A Car in Turkey and travel to every destination on the Balkans. You can have a look at our offices locations here. If you need more detailed information about rent a car services in Turkey, you can contact us fast and easy with our kind employees who will gladly cooperate on our phone number: +359 700 89 050 ! Alongside the car in Turkey, you can also rent one of our special extras – GPS, 3G Wi-Fi Internet, and many more. Why should you choose rent a car services in Turkey?